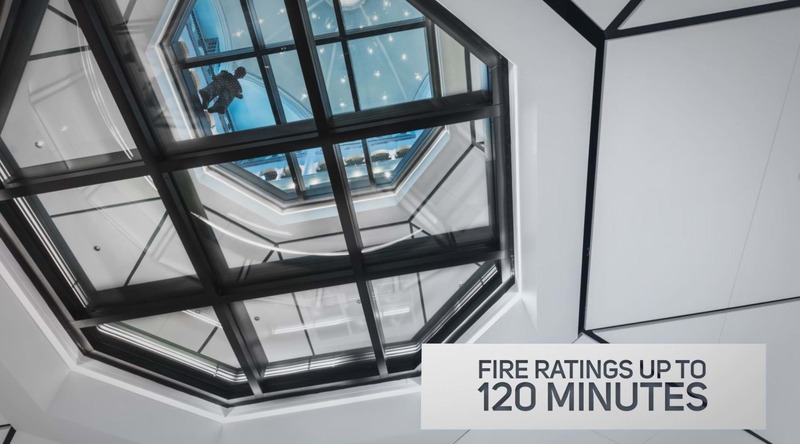 Learn more about TGP's Fireframes ClearFloor System, an innovative solution that allows glazing in interior spaces that previously would have required opaque fire-stopping materials like concrete or corrugated steel. The UL-classified assembly is comprised of Pilkington Pyrostop® fire-rated glass; a tempered, laminated walking surface glass; and a steel framing grid. It defends against radiant and conductive heat transfer, offers fire ratings up to 2 hours and provides a durable, non-slip walking surface. See how the high-performing product brings daylight deep into building interiors and creates dramatic visual effects between building levels that require a code-approved fire barrier in our featured video.